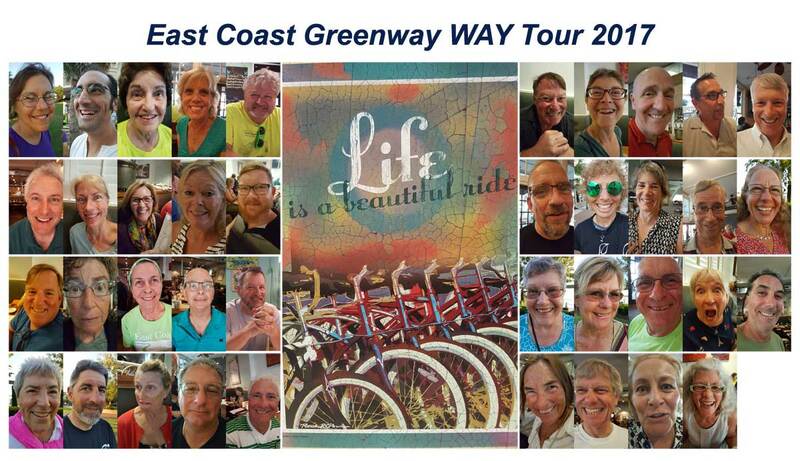 We are East Coast Greenway. Riding our bikes one week a year, to cover a segment of miles from Maine to Key West, FL – and this year, Wilmington NC to Savannah GA. Riding the congested east coast, as pioneers, bringing visibility to what roadways need to be more bike-friendly and tour townships on segments that include bike trails and low volume roads. The East Coast Greenway works with municipalities to form safe bike travels state-by-state – because who wouldn’t want to travel without a car?